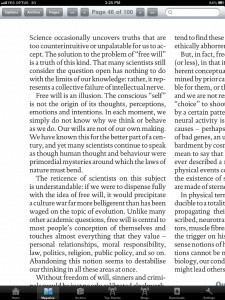 Just in case you didn’t believe me, neuroscientist and author Sam Harris has written an excellent piece on free will in the Christmas edition of New Statesmen magazine (which has been edited by Richard Dawkins). 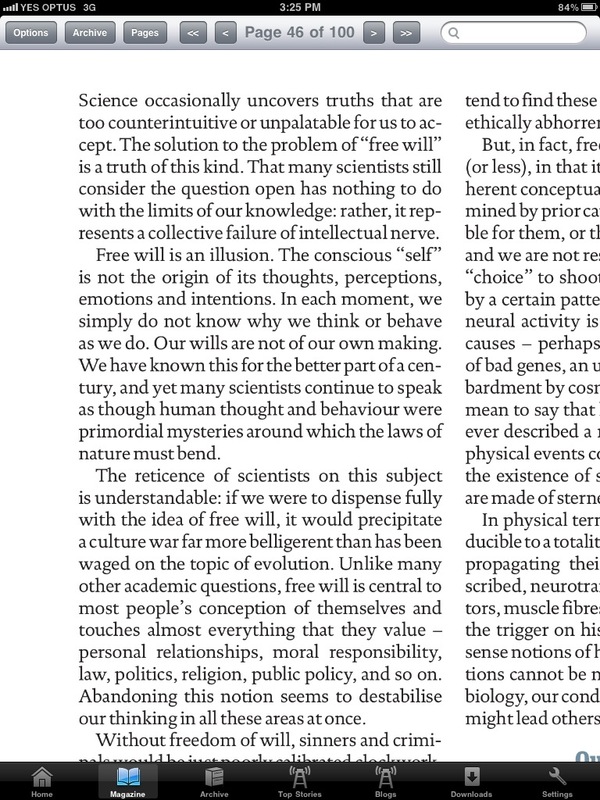 Here’s a screenshot of my iPad copy. It’s worth purchasing the app so you can read the whole thing, it’s only $2.99.